Review of Fast-Signals and BancDeOptions – B.O.T.P. I would like to share with you my recent experience with a binary options account managed by BancdeOptions/Fast-Signals in Australia, which was run by the same owners (including a guy going by the name Bob Roberts) as Options Rider, Options Giant, Marvin Trade, and MV Trading. Before investing, I searched online for reviews, but found nothing really positive or negative, so I asked for references. My contact, Sarah Jones, who later became my account manager, provided Skype IDs for two supposed investors, both with complementary reviews, and also had her manager (whose name I can’t recall) call me by phone. I felt reasonably reassured and decided late last October to risk a k investment in a managed account with them. With the managed account I was promised 4 managed trades a day in my account, where I could expect approximately 75-80% accuracy with 75% win payouts, which Sarah said would easily be able to get me to my goal of k/day income after some account growth. I was told that the commission would be 20% on all profit. In addition, I would be set up in a Skype group to receive 3 signals each at the start of both the UK and US trading sessions, which I could trade independently. From the outset, I found that I could not duplicate the consistent 3-0 results they posted for the Skype signals. The entry prices posted were not anywhere near any prices I found on any of the brokers I dealt with. And even the prices at expiry, while closer, did not always seem to reflect market prices. They seemed to reflect losses only when showing a win would be totally indefensible. The trades in my account, on the other hand, posted consistent believable win percentages – a little over 80%. Even after a Christmas break of about 2 weeks, by the end of January, my balance reflected over k.
When the account grew large enough to leave a k balance after a withdrawal after commissions, I inquired about making a withdrawal, but was told for the first time that until the account had a balance of 10 times my initial deposit, or k, I would have to pay the 20% commission up front instead of from account profits, unless I brought them new clients. Obviously I was unhappy, but decided I didn’t have much choice but to let the account grow. I argued that it seemed they would want to take their fees as early as possible, even if from my account, especially after the account had grown to a reasonable size, but was told that was simply their policy. So I stayed in touch with Sarah, with only occasional contact, for instance when my trades dropped to 3 per day instead of the 4 promised, to question why I was no longer getting trades on Friday, and to request an increase in trade size, which had only ever progressed to 0, less than 2% of my account balance as the balance grew. I was told that trade size is based on initial investment, which makes no sense. But Sarah stopped communicating altogether, and after a month or so, I contacted Live Chat and was told she was on maternity leave (despite the fact that I was still seeing her Skype ID active and associated with the Skype signals). I was assigned a new manager, Cindy Holland, who told me they could bend the rules for me only if I brought them new clients. She quickly lost interest when I told her I would not recommend a service to others that had not yet been fully proven. Another thing Cindy said unsettled me further. She said that even after I reached the k account balance, the 20% commission would have to be paid up front out-of-pocket rather than from the account, which contradicted what Sarah had told me. I contacted Live Chat to get another contact, and was told that commissions can come out of the account rather than up front after six months, which neither account manager ever communicated, and I was given the Skype ID and email address of Ray Johnson, VP of Finance of BancdeOptions, from whom I requested a clarification of policies, an increase in trade size and a change in account manager, none of which I ever received. So after the growth in my account stalled out at around k for over 3 weeks, I realized it was 6 months from the date I opened the account. So on May 1 I requested a withdrawal of all my funds less the 20% commission. After almost daily emails and Skype conversations since, I still do not have any confirmation that my withdrawal is in process, and in fact my account is still being traded and has lost value since the date of the withdrawal request. 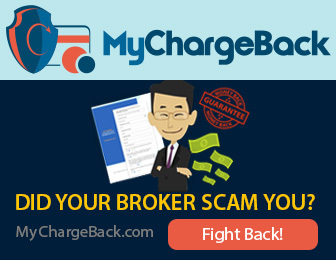 This organization is at worst a fraudulent Ponzi scheme, but even at best a nightmare to deal with, with inconsistent results and the worst communication from account managers and support I have ever experienced. I am doubtful that I will ever get my initial k deposit back, much less the k that also includes my supposed profits after commissions. I highly recommend you AVOID this operation. Please feel free to contact me for documentation of all I have presented.